The first authorized Willard Price book by award-winning author Anthony McGowan. Deep in the remote forests of Siberia, a mother Amur leopard, one of the rarest big cats in the world, senses danger. Something faster than any human and deadlier than any tiger. Meanwhile Amazon Hunt, aged twelve, is recruited from England by Tracks in America, ready to take off at a moment's notice to rescue wild animals under threat - no matter how great the danger. 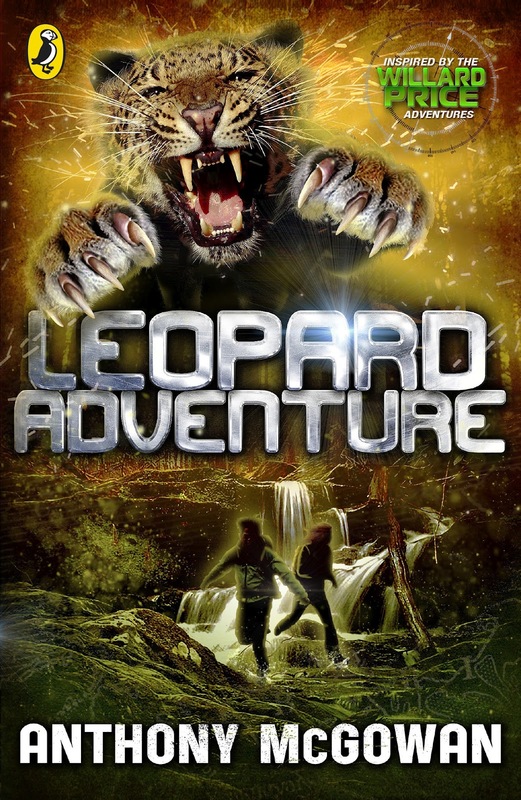 Now Amazon and her thirteen-year-old cousin Frazer must brave the Russian wilderness to save the Amur leopard, before a blazing forest fire wipes out the race - for good . . .
On the front cover of this book it says, Inspired by the Willard Price Adventures, and the blurb says that this is the first authorized Willard Price book. As I started reading I realised that there is quite a big link between this and the Willard Price books. The two main characters in this book are Amazon and her cousin Frazer, and guess what? Amazon’s Dad is Roger Hunter, and Frazer’s Dad is Hal Hunter, the two boys that featured in the Willard Price books, now adults and working in their fathers footsteps. I have mentioned more than once this year about the vast number of animal books that are being released, and here’s another one. I would have to say that this is probably one of the best animal stories I have read this year. It has the bonus of a boy and a girl as the two main characters, so it will be equally appealing to boys and girls. There is action and drama from the first few pages, when Amazon is scaling the wall of her boarding school, trying to get in without being seen, a dramatic jump and a crumbling window ledge make the reader think it may all be over before the book gets going. Then the story really begins, a visit from a cousin she has never met (Frazer), and being told she is heading to the US to her Uncle’s animal sanctuary/ranch. That is exciting enough, as they fly first class, but there’s more news, Amazon must then travel with Frazer to the Sikhote-Alin mountain region in the far east of Russia. There job will be to save an Amur leopard and her two cubs who are believed to be in that area, and their safety is being threatened by a forest fire. There’s wilderness, forest fires, huge brown bears and one particular forest dweller that wants the leopard just as much as Amazon and the team…a tiger. What I liked about his book is that the facts are woven into the story, and so I didn't feel like I was being beaten over the head with facts. There are chapters from the tigers' point of view which I loved, we see how the tiger feels after an encounter with humans, how it attacks and kills different animals in the forest, and we follow its journey to find the leopards. It is non stop action, and I defy anyone who reads this book to be able to put it down once they start…it’s just that kind of book. There’s even a sneak peek and a chapter sample of the next book Shark Adventure.